Brent crude oil price hits US$70/bbl levels again, up by almost 30% since start of the year. More positive catalysts than negative at this point as supply could tighten further in near term. Reversal in global O&G capex remains intact, despite muted North American onshore capex outlook. BUY service providers on contract/earnings recovery; oil majors to ride on solid oil price momentum. Oil price broke the psychological US$70/bbl barrier; outlook remains positive. The pace of oil price recovery has been faster than envisaged as we were forecasting oil prices to trend towards the US$70-75/bbl range in the latter half of the year. We will continue to monitor and maintain our average 2019 Brent crude oil price forecast of ~US$70/bbl for now, implying a stronger second half in 2019 vs YTD average of US$64/bbl. brighter demand prospects from an increasingly probable trade war resolution. This should outweigh the negative catalysts – US granting partial extension of Iran waiver volumes, and exerting pressure on OPEC to pump more. Upstream players riding on buoyant oil prices. Pure upstream players such as CNOOC (Target Price HK$15.50; +8%), PTTEP (Target Price THB143; +12%); Medco (Target Price Rp1,050; +22%) have risen 60-70% and Hibiscus (Target Price RM1.46; +29%) by > 200% since mid-2017 alongside oil price recovery. Sinopec (Target Price HK$7.80; +22%) is a safer oil proxy as an integrated play and Petrochina (Target Price HK$5.80; +12%) awaits favourable oil & gas (O&G) policy. While the oil majors remain the best oil proxies to trade short-term oil price optimism, we see greater upside potential in the oilfield service providers’ space, on the cusp of recovery. 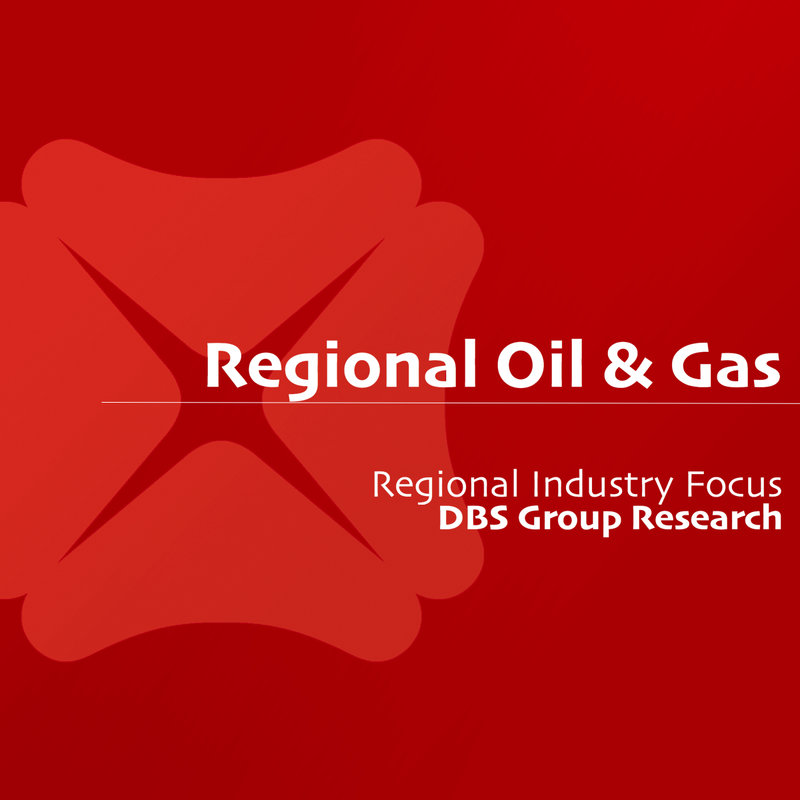 Oilfield service providers to benefit as global capital expenditure (capex) is poised to increase. On the back of reasonably high oil prices, global upstream spending is expected to rise by around 10% in 2019, underpinning imminent re-rating of oilfield service providers, catalysed by stronger contract win/earnings turnaround. Our preferred picks in the offshore sector are Anton (Target Price HK$1.60; +32%); COSL (Target Price HK$10.20; +16%); SEMBCORP MARINE LTD (SGX:S51) (Target Price S$2.40; +41%); Serba (Target Price RM5.70; +50%) and Sapura (Target Price RM0.41; +14%). Brent crude oil prices have again broken the psychological US$70/bbl barrier end of last week, with the immediate impetus coming from worries of escalation of civil tensions in Libya and hopes of a US-China trade deal getting brighter by the day. Overall, oil prices have now climbed almost 30% since the start of the year, and while we were forecasting oil prices to move towards the US$70-75/bbl range in the latter half of the year, the pace of oil price recovery has been faster than expected. Sharp declines seen from Venezuela and Iran owing to US sanctions policies. YTD in 2019, Brent crude oil price has averaged around US$64/bbl. We still maintain our forecast that Brent crude oil price will average around US$70/bbl (at the higher end of our US$65-70/bbl range forecast) in 2019, implying a stronger second half. Overall, we believe positive market developments outweigh negative catalysts for oil at this point of time. This should be positive for oil price plays, including oilfield service providers, in the region. OPEC production discipline provides key support to oil price trajectory. OPEC, led by Saudi Arabia, has maintained efforts to restore oil prices to more palatable levels for itself and its allies. OPEC production in March 2019 was down by almost 1.6mmbpd from December 2018 levels, and almost 2.2mmbpd from October 2018 reference levels. Of course, this includes involuntary declines totaling 1.0mmbpd from exempt countries Iran and Venezuela (and to a lesser extent, Libya) but the level of capacity discipline among other OPEC members is still commendable. Saudi itself has cut back to 9.8mmbpd, from the peak of 11.0mmbpd in November 2018. Russian production is difficult to cut in winter months and there haven’t been much changes there. Renewed clashes between rival administrations in Libya last week have spooked the oil market. Escalating tensions could disrupt Libya’s oil production and exports in the coming weeks. Libya has been trying to keep production levels at around 1.0mbpd, but around 200-300kbpd could come under risk if tensions continue to mount, which could see OPEC production falling even further than earlier anticipated. OPEC and non-OPEC allies will next be meeting in June to decide the future of these production cuts. Member countries should have more information by then on the prevailing situation in Venezuela, as well as the decision by US President Donald Trump on whether to extend the Iran waivers or not. If supply tightens further from the countries above, OPEC may consider loosening the tap somewhat in 2H19, especially given the evident spare capacity that Saudi has (ramp-up and pare-down of 1.0mmbpd production within a few months) to ensure that there is no oil price shock. President Trump will also surely be using his Twitter diplomacy and otherwise exerting pressure on OPEC to ensure oil prices don’t overheat too far beyond US$70/bbl levels, so the next OPEC meeting will be interesting. US shale oil production growth slow YTD in 2019, as expected. US oil production was up to around 12.0mmbpd by the end of 2018, and 2018 average of 10.9mmbpd was about 1.5mmbpd higher than the 2017 average. Permian Basin production averaged 3.3mmbpd in 2018, up 0.9mmbpd y-o-y, and cementing its position as the leading growth engine for US shale. However, as expected, after the breakneck speed of production growth in the US in 2H-2018 things have slowed down YTD in 2019, with production inching up to 12.1mmbpd. This is due to infrastructure bottlenecks in the Permian region, as well as muted capex plans at the start of the year following the steep decline in oil prices at end-2018. US onshore rig count has taken a breather since November 2018, and since the beginning of 2019, onshore rig count had fallen by 76 rigs, before the surprise addition of 20 rigs in last week’s survey. President Trump, clearly wary of US pump prices increasing ahead of spring and summer driving season, has been Tweeting intermittently about oil prices getting too high and accusing the OPEC of inaction. With the Iran sanctions’ waiver deadline coming up in early May, Trump’s hands may be tied in terms of decision making. If he lets the waivers expire, there could be further unpopular spike in oil prices; we believe he could opt for some middle path in adjusting the waivers, and ensure more stability in oil prices.